When people think of Morocco, one thing they often don’t consider is the immense natural landscape of the nation. A stunning nation, Morocco is home to some amazing treks, hikes and walks that you should definitely look to take up if you ever decide to come here. To help find out what makes the nation of Morocco so special, we’re going to list some of its most amazing hiking spots that you can – and should – look to take on ASAP. While you might intend to come to Morocco to take in the likes of Casablanca and Marrakech, there’s more to this amazing North African jewel than just the towns. 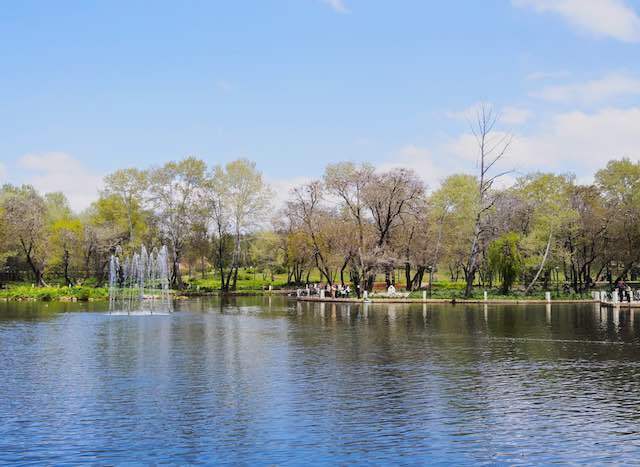 Ifrane is a truly special venue to come and visit, emotionally known as “Little Switzerland” due to the amazing trekking chances you get here. it’s a place that is loaded with trails to follow, paths to explore and spaces to simply marvel in at the true natural wonder of the region. Those who enjoy a trek would love to come to Ifrane. 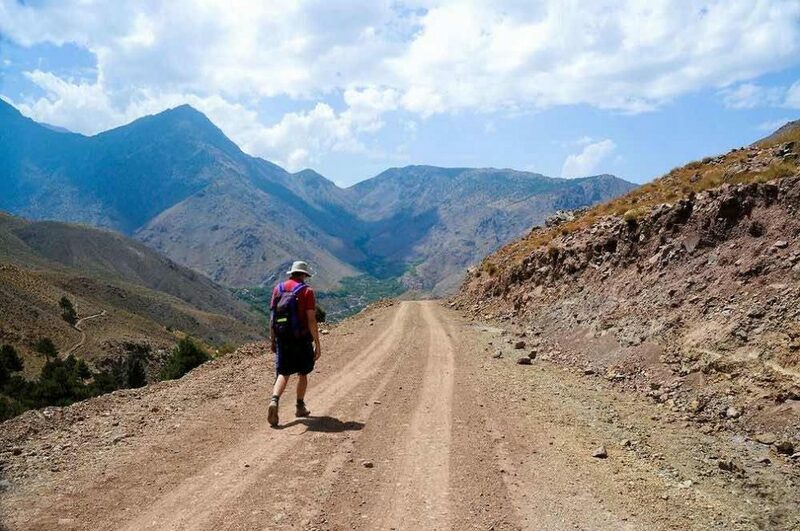 It’s a place that offers you a direct chance to walk the Middle Atlas Mountains, a fine replacement if you cannot make the trip to the High Atlas. They are stunning and can provide you with a very special hiking experience. For a nice walk be sure to head into the forests nearby Ifrane. Stunning wildlife roams around freely, from wild boars and Barbary apes. This helps to set the tone of a location that’s all about enjoying stress-free trips with rewarding views waiting at the end. A trip to Ouirgane is a fine choice for anyone who enjoys a physical workout and a sight of natural wonderment. This is towards the High Atlas, the big brother to the Middle Atlas and a truly stunning experience with good measure. It’s great for taking trips to from Marrakech and should be high up on the list of places to see for explorers and the like. You’ll get to visit places like the Ourika Valley, but a trip to the village of Ouirgane is a trek well worth setting out for. 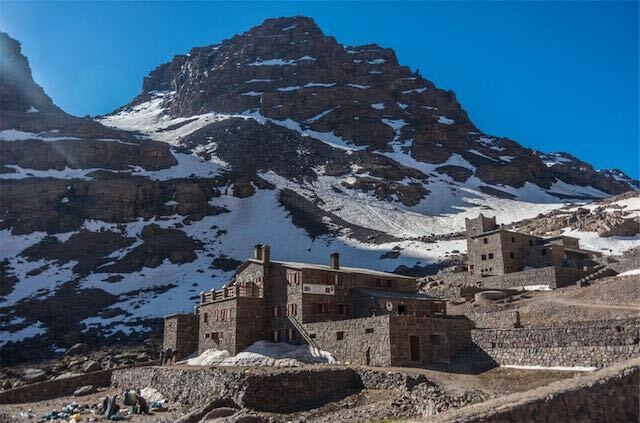 You’ll get to see the amazing Toubkal range, a whopping 1000m above the village, or you can take a walk through the vintage old salt mines, the amazing forestry and the stunning variety of birds high up in the air. For a touch of culture, be sure to head downs the Tin Mal Mosque, which is open to non-Muslims. Chefchaouen is a truly special place to come and visit, a tiny city that’s draped in blue. While ‘the blue city’ is its most common moniker, there is more to this city and a rich hue and colour scheme around the area. Indeed, it’s home to the famous “Ras al maa” – the head of the water – a beautiful waterfall that is only a small walk from the town. It’s commonly visited during scorching summers and can offer a chance to cool down when the weather feels beyond you. The quality of this beautiful area, though, is punctuated with the addition of the wonderful Talassemtane National Park. You could also take a trip to God’s Bridge for a more challenging yet equally rewarding trek. Either way, you should find it easier to come to these major locations in Moroccan trekking and tripping if you come with a guide for added security. It’s very easy to get lost! 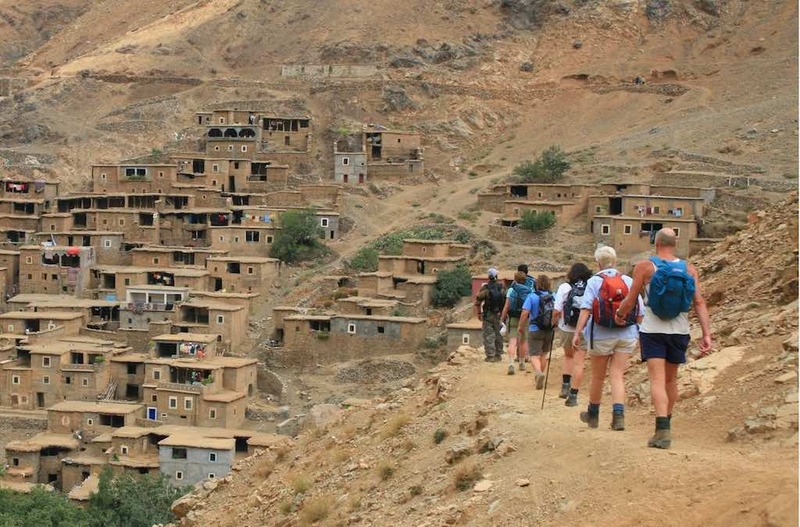 Another special experience is a trip to Mount Toubkal and the National Park. A stunning 4,167 metres, this is the highest mountain in North Africa and should 100% be on the list of things to do, see and enjoy. Visited by tens of thousands of people annually, this is a place you can stay in for may days at a time. We recommend that you do so if you wish to capture the true heart and energy of the region in all of its glory. Be sure to start from Imlil, a small village that makes it easy to prepare for the trip ahead. 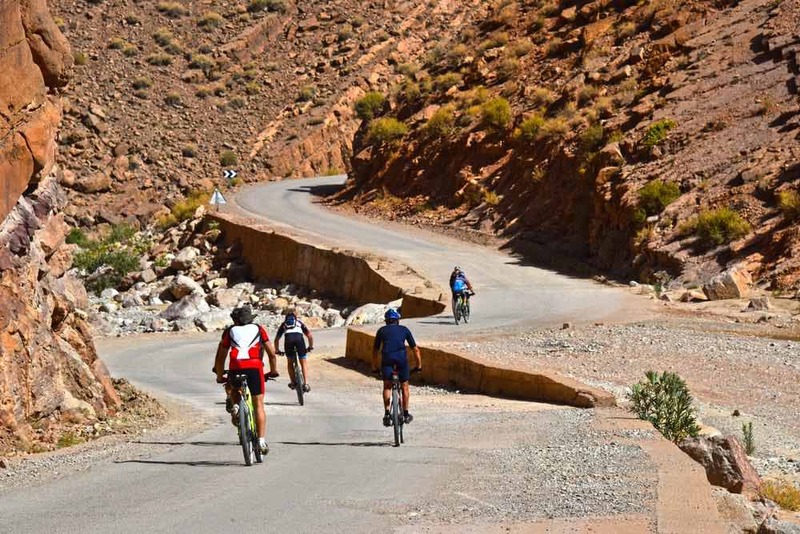 You’ll get some amazing rewards for persevering with what is a very tough climb – namely one of the most stunning sights that you are ever likely to see if you were to head to Morocco! The last place we recommend any visitor to Morocco looking for a genuine trip to try out is a visit to M’goun Massif. This the second highest in the nation, and is just between Morocco and the Sahara Desert. 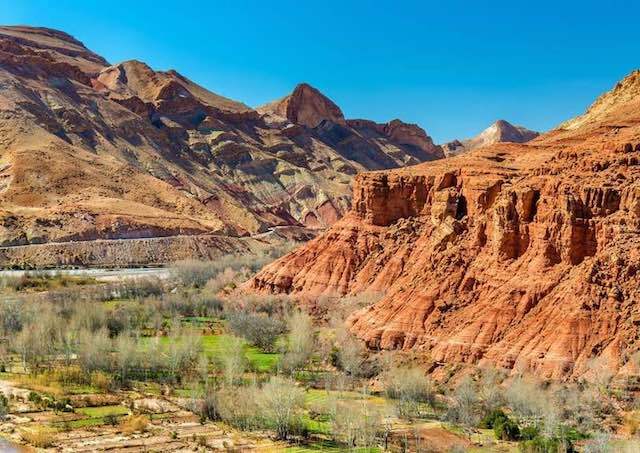 It’ truly stunning, and it’s restricted during the winter as the severe weather can make it simply too dangerous for anyone but the most experienced trekkers. If you want a chance to see parts of the world that are more or less free from human intervention, then this a fine place to be. 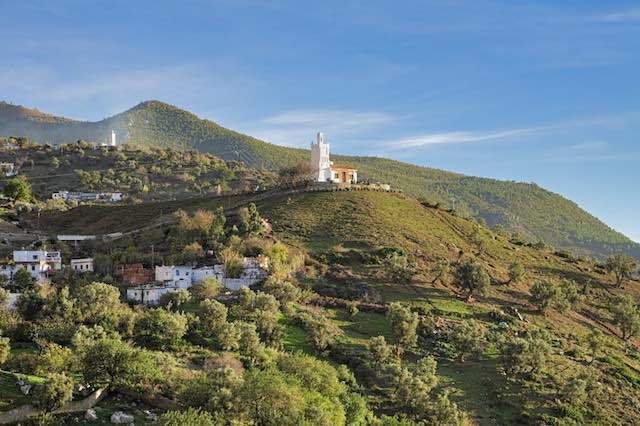 Despite being near Marrakech and a stone’s throw away from Fes, these locations are more or less pristine. Thanks to guides, porters and mules, though, you should be able to get to the top of the region without too much challenge. It’s hard, but the reward for doing so is a sight your mind will never forget! 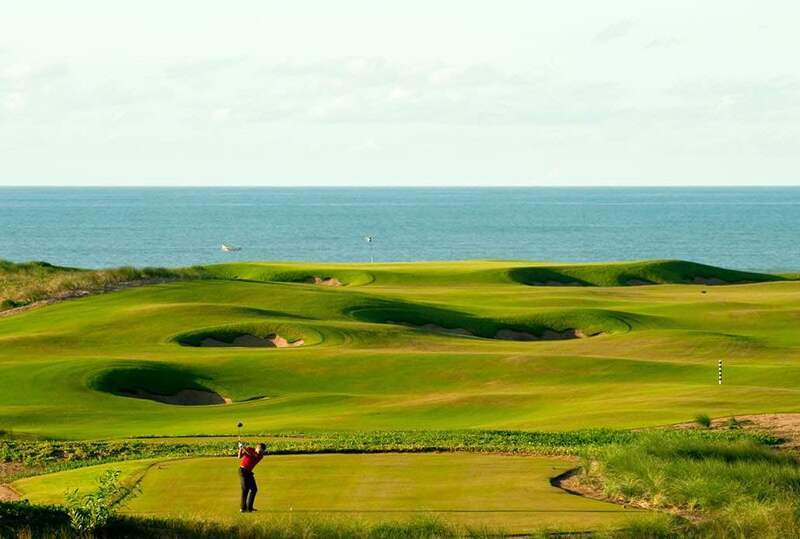 Of course, these are just a few of the locations that one should look to check out if they are heading to Morocco. With so much to see and do in the country, this should only be the beginning of your time looking for treks and challenges to take on. That being said, each of these journeys should make up a major part of any trip that you decide to take on when heading to Morocco. The fun that you can have here is excruciating, and the enjoyment that you can have from seeing nature like this is tremendous. Visiting more than just the cities can really help to show you why Morocco is among the best locations in the world to visit. So, instead of just planning for a city trip, why not come see rural Morocco at its best?